This sector generates the highest foreign exchange earnings for the country and employs about 75% of the population and contributes about 30% of the GDP. Tea is the highest foreign exchange earner, followed by horticulture and coffee. Investment opportunities are available in the areas of large-scale plantations, processing and marketing of agricultural products, such as avocados and pineapples. Others are cotton, pyrethrum, sugar and oil crops. The main oil crops are coconut, cashew nuts, Soya beans, groundnuts, macadamia, sunflower and cotton seeds. Investment is also possible in the sisal and flax sub-sectors. Gum-Arabic and herbal teas such as camomile and hibiscus are profitable agricultural resources in Kenya which potential investors can fully exploit. Investment opportunities in the livestock sub-sector includes camel farming, production and marketing of canned and fermented meats, provision of superior breeding stock, leather tanning, rearing of wild animal and game meat production, e.g. ostrich and crocodile farming, production of chicken stock birds, milk and butter production, honey refining and production of allied inputs e.g. feeds for livestock and poultry, equipment and machinery etc. The Governments policy for the fisheries sub-sector has been to maximize production by proper utilization of resources. Most of fishing activities are concentrated in Lake Victoria and the coastal area along the Indian Ocean. Fish production in Kenya as an investment opportunity can be increased by promoting sustainable capture fisheries in lakes, rivers and the ocean. Secondly opportunities are also available in culture fisheries on farmlands. Conditions for fish farming are readily available in Kenya.There are three types of fish farming practices in Kenya which an investor could exploit for local and export market. These are warm water fish farming (suitable for tilapia, bass, and common carp; cold mountain fish farming (suitable for trout), and saline water (coastal fishing farming (shrimps). 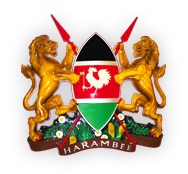 Kenya welcomes investors in the fish processing plants, deep sea fishing, and fish farming among other areas. Kenya is indisputably a safari country of repute and tourism is a key foreign exchange earner. Kenya’s early tourist visitors may be claimed as far back as 28th February 1498 when the Portuguese explorer, Vasco Da Gama landed at Malindi, the Indian Ocean coastal town on the explorer’s trip to India around the southern African coast. Kenya’s natural vegetation and rich fauna provide a feast of diversity. At present Kenya has a total of 59 national parks, reserves and sanctuaries offering the visitors the opportunity to view the “big five” – lion, elephant, rhino, leopard and buffalo. Main safaris include Wildlife, sports , scenic, culture, beach, adventure, specialist and business including conference tourism. On investment opportunities, Kenya has a wide range of potential tourist attractions which can be exploited by foreign investors. Currently tourism investment is mainly concentrated along the coastal region of the country and the savannah lands with the national parks and game reserves. Regional diversification to help exploit the vast potential of tourist products is being undertaken to include other circuits in the country. The potential for the domestic market has also not been exploited. A need to identify diverse tourist attractions other than the existing game parks also offer investment opportunity. Physical infrastructure is an important prerequisite in creating and supporting a business environment that facilitates private sector investment, job creation, economic development and growth. The provision of adequate infrastructure and services is therefore, necessary to achieve the country’s industrialisation as targeted for by the year 2030. The sub-sectors in the infrastructure segment of the economy include roads, rail, air, maritime and inland water transportation systems, as well as energy. Kenya has a road network of about 177,800 km out of which only 63,575 km is classified. The classified road network has increased from 41,800 km at independence to 63,575 km today. During the same period, the paved road length grew from 1,811 km to 9,273 km. It is presently estimated that about 70% (44,100 km) of the classified road network is in good condition and is maintainable while the remaining 30% (18,900 km) requires rehabilitation or reconstruction. The Government has laid the plans for the development of a rapid bus transport system the Nairobi Metropolitan Region Rapid Bus Transit/System. In addition, opportunities exist for Maintenance of existing road network, expansion of the road network including construction of bypasses in Nairobi and Mombasa to ease congestion and other Northern Corridor Transport Improvement Programme initiatives. Kenya occupies a strategic position as an aviation centre in the eastern African region serving as the hub for the East, Central and Indian Ocean areas and offering transit and refuelling facilities for the North/South and East/West air traffic. Major users of air transport are tourists, high value exports and imports and perishable goods transporters. Investment opportunities are available in the expansion of the airports and their allied services especially the passenger terminal facilities. Maritime transport is a low cost means of moving heavy and bulky freight. Kenya, due to her ocean frontage and Lake Victoria, serves the eastern and central African hinterlands e.g. Uganda, Rwanda, Burundi, Democratic Republic of Congo, Ethiopia, Southern Sudan and Northern-eastern Tanzania. Maritime transport sub-sector therefore, offers lucrative investment opportunities. These include port services, development of cruise ship facilities in both Port of Mombasa and Kisumu (Lake Victoria), ship repairs and servicing. The sector includes all facets of communication including ICT, telecommunications, postal services, internet services, telex, paging and facsimile services. The sector has been liberalised and private investors are welcome. The National ICT Masterplan aims at enhancing Kenya’s competitiveness through utilisation of its resources in Business Process Outsourcing and strengthening its capacities to meet future technological challenges. The 2030 vision for BPO is for Kenya to become the top BPO destination in Africa . Key opportunities therefore exist in the development of ICT infrastructure including ICT parks and development of hardware and software. Other opportunities exist in the provision of fixed and mobile telephony services and internet gateway service provision. Kenya’s main sources of energy supply are electricity (hydro-, geothermal), wood fuel, petroleum, and renewable energy. Due to its critical role in development of the country, the current energy policy objectives emphasize the need for its availability and accessibility at cost effective prices and in support of sustainable socio-economic development while protecting and conserving the environment. - generation of geothermal, hydropower, oil based thermal and any other economically competitive energy source. - wind and solar renewable energy sources are other areas of investment possibilities. One of the major priorities of the government is to provide decent affordable housing for the population. The current National Housing Policy commitment is to facilitate the construction of at least 150,000 housing units annually in urban areas and 300,000 units in the rural areas.. This indicates the magnitude of investment opportunity in the sector. - Housing surveys and data management. For more information on other sectors please visit the website of the Kenya investment Authority www.investmentkenya.org and the Ministry of State for Planning, National Development and Vision 2030 www.planning.go.ke.